The first-ever homeless Girl Scouts troop of New York City has broken yet another barrier, smashing their goal of selling 6,000 boxes of cookies nearly six times over. Girl Scout Troop 6000's initial goal was to sell 6,000 boxes of cookies at their first stand sale at Kellogg's NYC Café in Union Square. But by the end of the six-day sale, the troop sold more than 32,500 boxes. 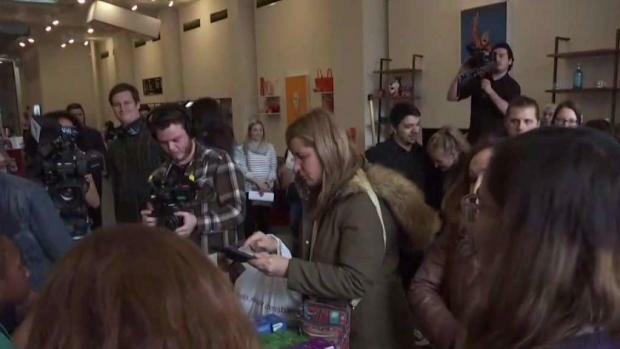 Customers not only stood in hour-long lines to purchase multiple boxes of cookies, but many also made monetary donations to the troop, totaling more than $15,000, to help pay for activities and trips, according to the organization. "I’m so excited that I got a chance to sell cookies, just like any other Girl Scout," said Sanaa, a 10-year-old from the troop. Girls Scouts who live in homeless shelters in New York City are selling cookies for the first time to raise money for their troop. The Girl Scouts also partnered with Kellogg to create six limited-edition specialty cereals, which were all on the cafe's menu during the cookie sale week. One hundred percent of the proceeds of the specialty cereals were donated to the troop. 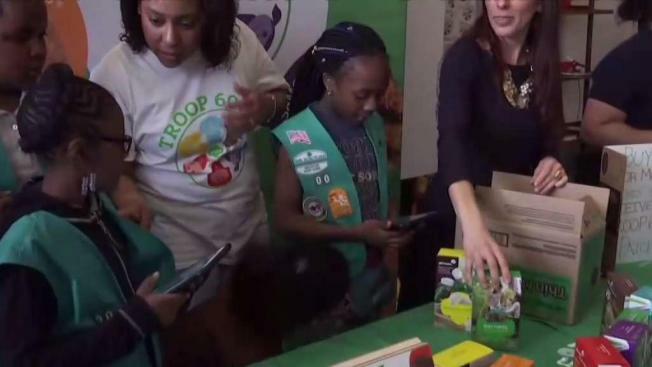 Meridith Maskara, CEO of Girl Scouts Greater New York, said the sale was a "resounding success," and gave girls in Troop 6000 the opportunity to be "cookie business bosses." Proceeds from cookie sales go to fund troop activities selected by the girls, including trips, camp experiences, and other programs and events. Troop 6000 was created in 2016 by Girl Scouts of Greater New York, Mayor de Blasio and the city Department of Homeless Services to serve girls living in the New York City shelter system.